We are getting down the the wire..mere days away from the "official" kick off of the New York Toy Fair 2013....but the reveals just aren't stopping...and I am sleepy. Sooooo sleepy. NO REST FOR THE WICKED ...and especially no rest allowed when new Monster High images drop in our lap. I'll sleep next week. Monster High® 13 Wishes Doll Assortment : When Howleen Wolf® discovers a genie lantern, she turns Monster High® upside down! Creature chaos ensues, particularly when Lagoona Blue® is turned into a freshwater sea monster! But that’s not all! 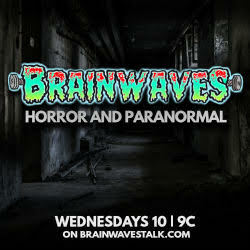 Along the way, the ghouls make two new friends: Gigi Grant™ and Twyla™. Dolls come with pet, diary, brush, doll stand and character-specific accessories. Each sold separately. - Gigi Grant™ is the daughter of a Genie, and so she must grant the wishes of her finder - whether good or bad! But she looks charmed while doing it in a classic genie look with gold detailing and accessories. - Daughter of the Boogie Man, Twyla™, is shy and misunderstood, she hides under normies’ beds to capture their nightmares rather than adding to them like her dad. Lacking a mean streak, she looks adorable in a cute outfit with ruffled skirt and a bow at her neck. 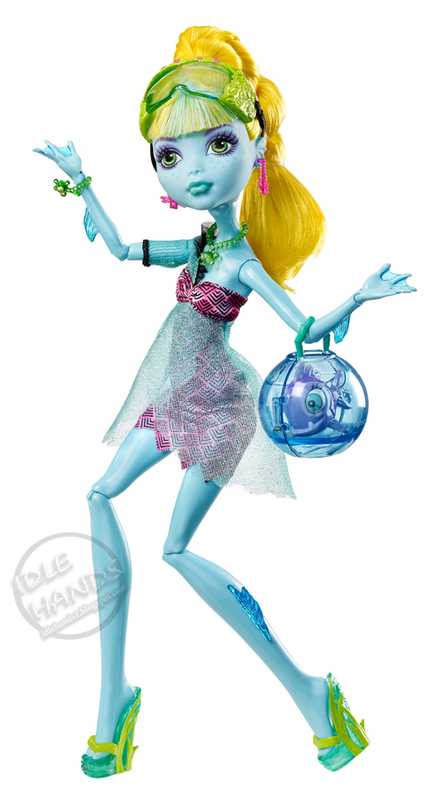 - Lagoona Blue® doll, the resident Sea Monster, is wished from Saltwater to Freshwater and has an all new look to match! This special Lagoona® doll shimmers in a pink and black dress with a sheer blue glittery overlay and sea-sational accessories - like a fishbowl purse. Monster High® 13 Wishes™ Party Doll Assortment : Play it again because it\'s time for a dance party – Monster Moroccan style! 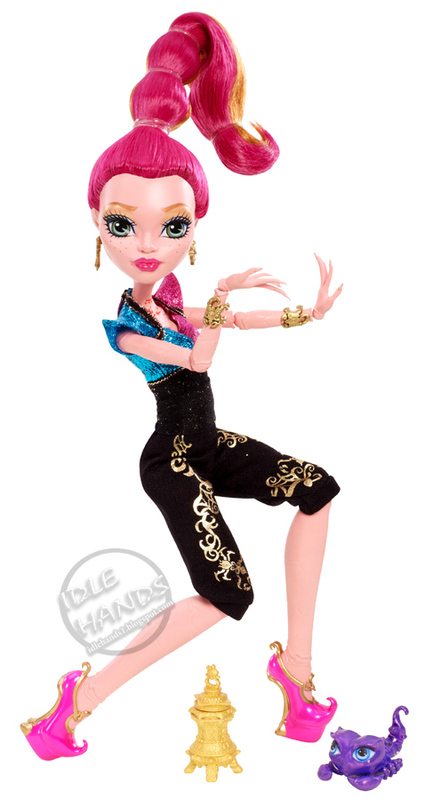 The ghouls of Monster High® are headed to the party of their screams and are dolled up in to-die-for Moroccan-inspired fashions, as featured in the movie! Their over-the-top outfits are a scream-come-true and are accessorized with themed jewelry and gold detailing throughout. Each doll comes with a brush, doll stand and lantern accessory to help create an even more boo-tiful night to remember! Each sold separately. - Clawdeen Wolf® doll’s black mini-dress is accented with a gold print and an open long skirt with layers of sheer black, light and dark purple accented with sparkles and prints. Strappy gold shoes and accessories that include a clawsome belt, winding bangles and a sleek headband, complement her long flowing hair and stylish prowl; Her lantern is purple, of course! 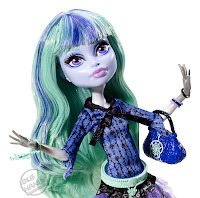 - Frankie Stein® doll totes a blue lantern that matches her high-voltage outfit. The short white, blue and black dress features a sparkly hem, a unique twisted halter and golden lightning bolt detailing as well as a long train with more sparkles and a gold print. She also wears golden accessories on her head, arms, ears and feet and has done her stitches in gold for the occasion. - Draculaura® doll has also added special touches that include sparkles in her hair. She wears her signature color palette with touches of pink complementing a spook-tacular black dress with a laced corset look. Her gold accessories reflect spider webs and bats, and her lantern is a delicious pink. Monster High™ 13 Wishes DVD : Monster High™13 Wishes marks the third direct-to-DVD CG animated, feature-length film to be released by Mattel’s Monster High™ brand in an anticipated partnership with Universal Pictures. 13 Wishes brings to life the age-old adage of “Be scare-ful what you wish for.” Tired of being under her popular older sister\'s shadow, Howleen Wolf™ stumbles upon an ancient genie lantern hidden deep within the attic of Monster High™. The genie is freed and grants Howleen not 3, but 13 wishes! At first, all her screams come true. But Howleen soon discovers that each wish comes with a dark side and finds herself under an evil spell of temptation that wreaks havoc on the student body of Monster High™. Join Frankie Stein™, Clawdeen Wolf™, Draculaura™, Abbey Bominable™ and the rest of the Monster High™ ghouls on an all-new DVD movie adventure as they strive to save Howleen… and the very soul of Monster High™! Monster High® Create-A-Monster Color-Me-Creepy™ Chamber : Ghouls can customize and personalize their very own monster doll from fang to toe with the Create-A-Monster Color-Me-Creepy™ Chamber! It comes with all the clawesome tools needed to add detail to the monster’s hair, clothing and skin through totally creeperific color change. 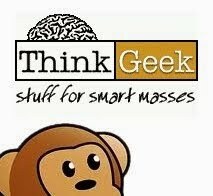 Transform the look of selected pieces of monster anatomy in the tumbler or beaker then assemble as desired. Lay the monster in the chair, then use the heat and ice tools to create finer details. Crank up the seat, and mist your creature’s hair with the spray bottle to add even more detail. Even the fashion offers transformational capability with cool color-change effects. When the experiments are done and the monster released, everything fits into the chamber for easy storage – it’s the ultimate customization station! Set includes the chamber, extra body parts to mix and match, rooted color-change wig, color-change fashion and extra accessories. The girls love the Monster High Dolls. I saw some of the 13 Wishes Dolls in the store this week. I can't wait for the new movie. The Genie is cool, but my favorite new character is Twyla. I think it is so cute that she steals bad dreams. What a neat concept! 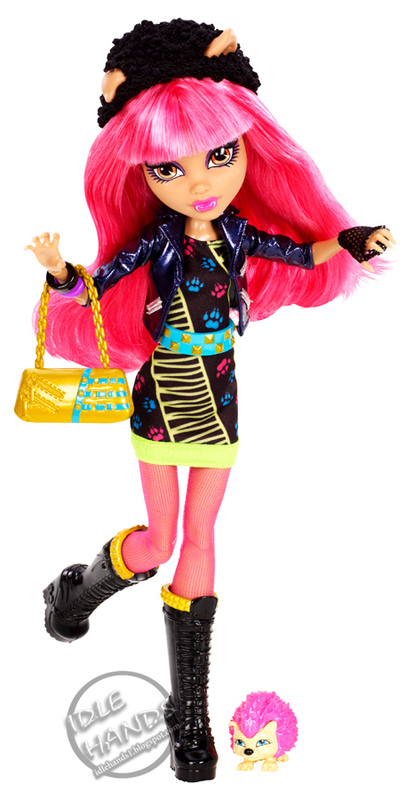 Monster High is so cool! I saw some music festival dolls at Dollar General for 15$!!!!! 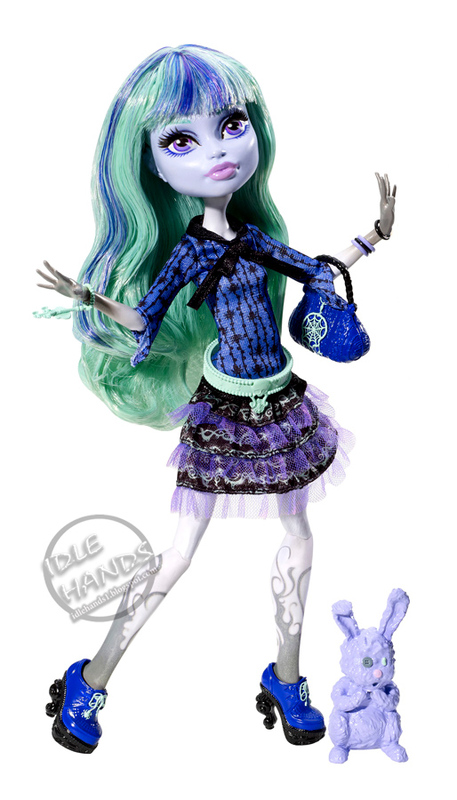 I really love Lagoona's new look!!! !